The Copenhagen Parkinson’s Unity Walk event, as we now know it, began when small group from the Danish Parkinson’s Association (Parkinsonforeningen) took part in the Unity Walk in New York City in April 2011. We wanted to experience the atmosphere of conviviality on ‘Parkinson’s matters’ and also wanted to learn about the organisation of such an event. We then took a delegation from the Danish Parkinson’s Association to the European Parkinson’s Disease Association (EPDA) Unity Walk held in Amsterdam in September 2012. Having learned a lot from these two events we decided to organise a Unity Walk in Copenhagen. 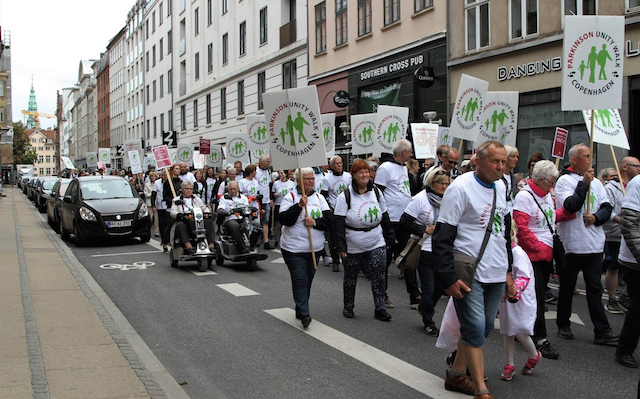 Approximately 7,300 people in Denmark live with Parkinson’s, with an additional 750 diagnosed each year. Research has shown that people with the condition are 33% less active than those who don’t have Parkinson’s. With this in mind, the slogan of the Danish Parkinson’s Association (DPA) is ‘exercise is medicine’ – as research shows that exercise can reduce the symptoms of the illness and the need for medicine. Within the DPA, volunteers such as myself and colleagues, Birgit Sæhl and Jacky Wilkins have daily practical responsibility in preparing and implementing the Unity Walk each year. Our roles and responsibilities include contracts and agreements with partners and suppliers, equipment handling and permits. As the manager of the day, I always attend the walk along with approximately 1,000 other Parkinson’s awareness campaigners – including Parkinson’s patients, their relatives and carers. 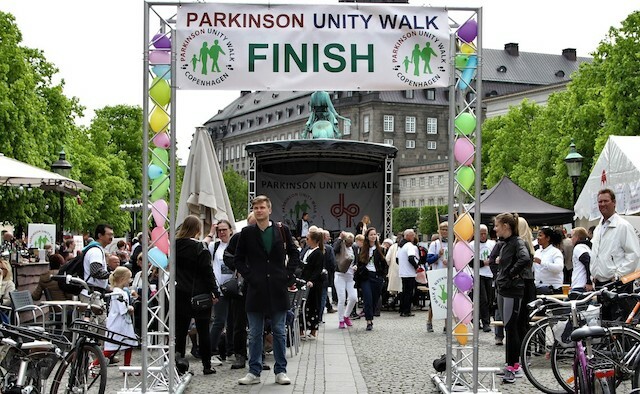 We’re good at turning awareness of the issues facing people with Parkinson’s into funds for research, as we’ve raised DKK 1.2 million (€160,000) in five years. In Denmark, the general public don’t really know much about the Parkinson’s, so it’s really important that we spread the word about our events and the work that we’re doing, to help people with the condition – we use our Facebook group a great deal for this. We’ve found that in this country, organisations have to make strong ties with the media to gain the attention of the public. We’re lucky that we have a famous patron of the association, Countess Alexandra, the former wife of Prince Joachim of Denmark, who supports the cause and has completed the walk a number of times. Watch the video below to see Countess Alexandra endorse the walk in 2014. During Parkinson’s Awareness Month and the #UniteForParkinsons campaign, Danes got involved in the discussions on social media. In the future we hope to see in the international Parkinson’s community give more focus to rehabilitation rather than just finding cure. 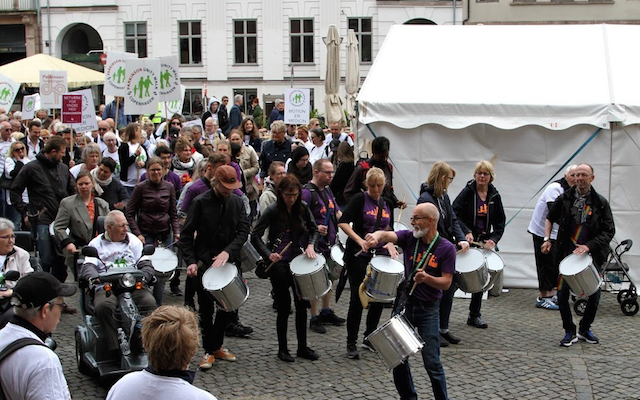 The treatment industry in Denmark sponsors some projects but we’d also like to put pressure on the industry to fund Europe-wide projects such as a comparative study in Europe and a ‘European Unity Walk’. An end to writer’s block for people with Parkinson’s?